The test mule featured alloy wheels. Gets a larger fuel tank true to its adventure touring genre. The key fob is now placed right below the instrument console instead of the tank. The KTM 390 Adventure is expected to be launched towards the end of 2019. It’s expected to be priced below Rs 3 lakh (ex-showroom). 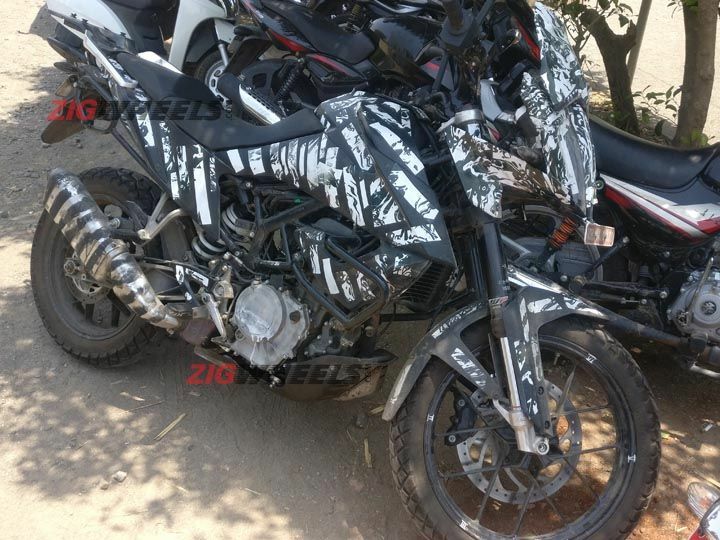 The near-production ready KTM 390 Adventure has been spotted testing for the third time near Chakan, Pune. The first two instances gave us a fair idea of the kind of equipment on the bike, but this time around it’s the minute details that really caught our attention. For starters, the key fob has been repositioned and now sits right below the full TFT screen, instead of the tank. Also Read: Husqvarna Vitpilen 401 Spied With A Desi Touch! Second, the triple clamp seems to be completely redesigned with adjustment knobs at the top of the fork. Moving to the mid-section, the fuel tank seems to run under the seat, suggesting a much larger capacity compared to its naked counterpart. And rightly so, considering its adventure touring genre. 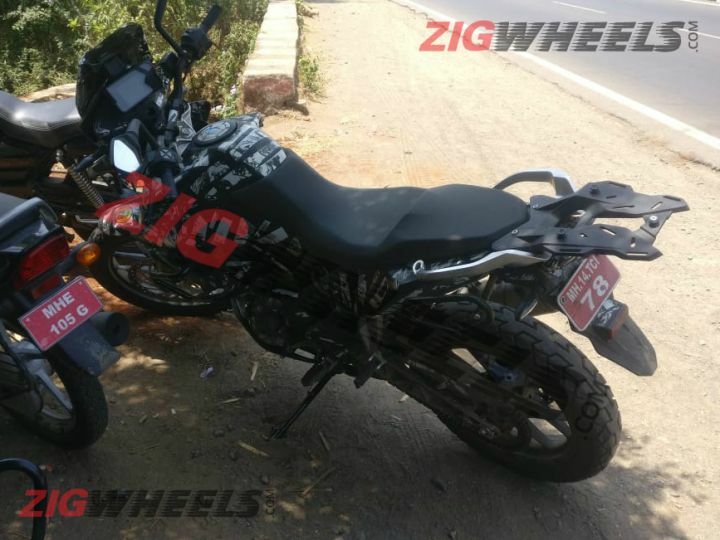 Also Read: KTM 390 Adventure Spotted With Saddlebags And Top Box: EXCLUSIVE! Aside from this, thanks to the absence of panniers, the bike’s mounting brackets for the top box and panniers are clearly visible. 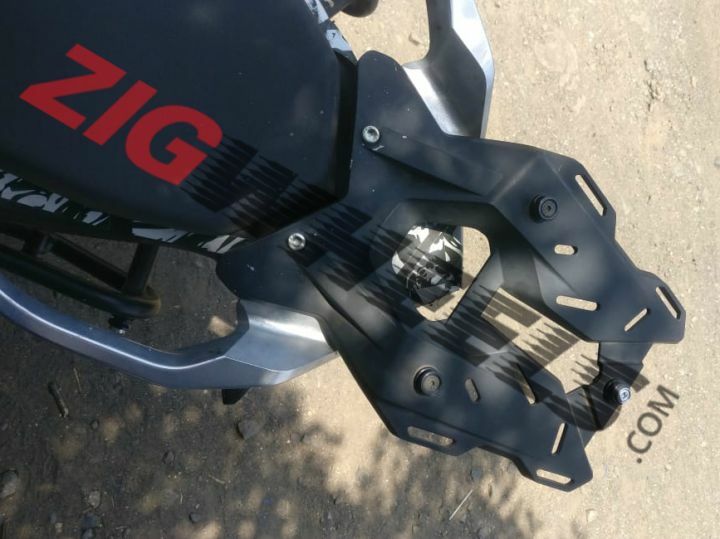 We think KTM already has a list of “power parts” or accessories developed for the adventure tourer which will be launched alongside the bike. Last but not the least, the windscreen appears to be a smidge taller than the previous iterations. This could mean one of two things, an all-new windscreen design or an optional extra. Also Read: Exclusive: KTM RC 125 Prowling On Indian Streets? From the looks of it, the bike seems to be the final draft, which means the KTM 390 Adventure will be a road-biased bike rather than an off-road friendly bike we had earlier speculated it to be. However, the bike does feature a 19-inch front and 17-inch rear wheel setup paired with long travel suspension. Essentially, you could slap on some aftermarket spoked wheels and knobby tyres to make it more off-road focused. Or, stick to the dual-purpose Continental TKC 70 tyres and alloy wheels which should work well on-road and for some occasional trails. Dual-channel ABS comes as standard, and is likely to be switchable. We expect the KTM 390 Adventure to be launched in the latter half of this year. And if the Austrian bikemaker manages to price the bike well, say under Rs 3 lakh (ex-showroom), it could undercut its rivals – the BMW G 310 GS and Kawasaki Versys-X 300 by a huge margin.